The disabled peer chosen to be the equality watchdog’s new disability commissioner has still not attended a single board meeting, more than three months after his appointment, because of a continuing stand-off over the decision to scrap the post. 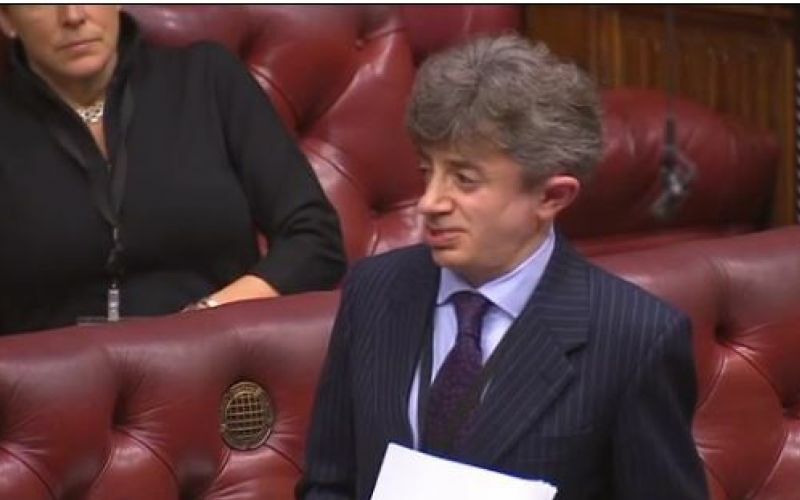 Lord [Kevin] Shinkwin (pictured) is boycotting board meetings until the Equality and Human Rights Commission (EHRC) reinstates the role of disability commissioner, and allows him to chair the new disability advisory committee (DAC). He responded last year to an advert for the post of disability commissioner but was then told – just 36 hours before his first board meeting – that the role had been made redundant and that he would simply be a commissioner and would not lead on disability issues. The Conservative peer confirmed to Disability News Service (DNS) this week that he is continuing to boycott board meetings until what he believes is a vital post is reinstated, and he is allowed to chair the DAC. He said: “I would be delighted to attend board meetings when the disability commissioner post is reinstated and when I am allowed to chair the disability advisory committee. That hasn’t happened yet. “My understanding from what I have been told is that I have to accept the abolition of the disability commissioner post and that I will not be chairing the disability advisory committee. I cannot accept either of those. “I think it is absolutely essential that disabled people have a very strong voice as disabled people. He made it clear that when he applied for the post, he was applying for the role of disability commissioner, which is confirmed by a letter – seen by DNS – that was sent to the peer last November by the Government Equalities Office. Asked if he had consulted lawyers about his stand-off with EHRC, he said: “I am keeping my own counsel. I am finding it hard to believe, to be honest, that I am in this situation. “It is not just me who is in this situation, it is disabled people who are in this situation. The peer said that critics would be “really quite surprised” by his willingness to speak out against the government if needed. Although he has generally been loyal to his party since he was appointed to the Lords in 2015, he points out that he has voted against the government. Last December, he voted against the government when the crossbench peer Baroness Deech – backed by EHRC – tried unsuccessfully to introduce measures that would have forced licensed premises to obey laws on accessibility when renewing their alcohol licences. Asked for a response to Lord Shinkwin’s latest comments, an EHRC spokeswoman said: “The chair and the rest of the board continue to hope that matters can be resolved so that we can focus our attention on tackling the serious inequalities experienced by disabled people in Britain. EHRC has previously said that, under its new approach, “rather than having just one named champion of disability rights on the board, all board members, including a number of disabled commissioners and others with direct experience, will have a responsibility to champion disability issues”. While he waits for a resolution, Lord Shinkwin said he would “continue campaigning on disability equality”, including on the need for the government to “make good on the commitments” it made in its original Disability Discrimination Act in 1995, including the duty to make reasonable adjustments. This also includes campaigning on his abortion (disability equality) bill (see separate story), which would make it illegal to abort a foetus with a significant impairment after 24 weeks of a pregnancy, just as it is with foetuses without impairments. At present, it is legal under the 1967 Abortion Act to abort a foetus right up to the point of birth, where [in the act’s words]“there is a substantial risk that if the child were born it would suffer from such physical or mental abnormalities as to be seriously handicapped”.